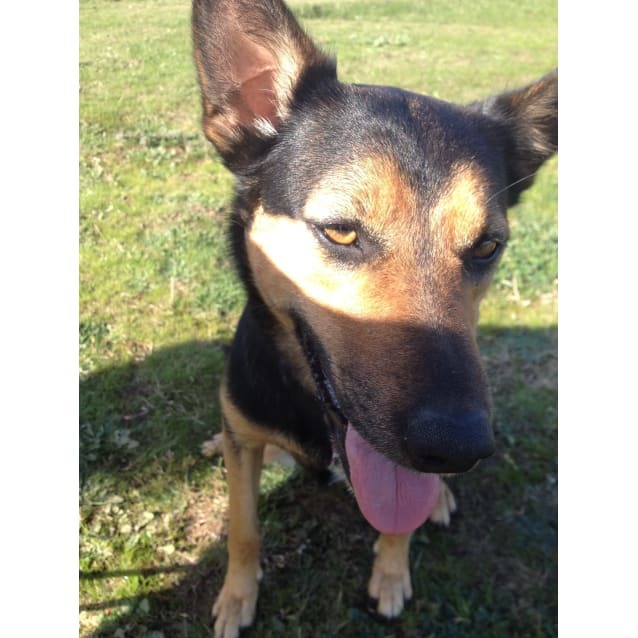 Contact Sally at Riverina and District Animal Rescue Inc to express your interest. We have been fostering Penny since May 2014 and she has been an absolute angel to look after. 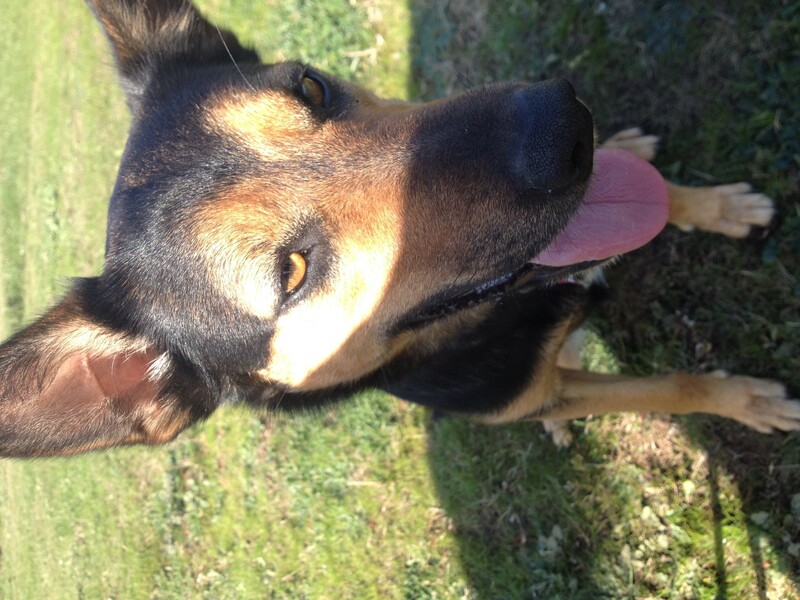 Penny came from the Gundagai pound but they know nothing of her past as she was stray. Penny is a lovely Kelpie X but is not a working dog at all and would rather sit in the back of your car while somebody else does the work. Penny is a very well mannered dog and since having her she hasn't dug, pulled clothes off the line or barked uncontrollably. She walks excellently on the lead and knows most basic commands. 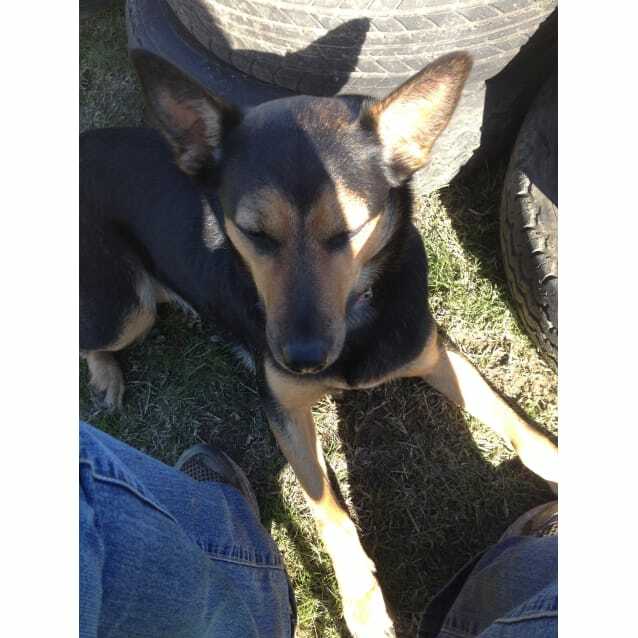 Penny has been around my two dogs, another Kelpie X and a foxy (both females) with no problems and is easy to deal with at feed times. We have 3 cats and she is fine with them. We also have 3 kids aged 9, 8, 6 and we haven't had one problem with Penny being aggressive towards them and they are the ones who feed the dogs and the cats at night. Penny loves the kids. We also have 3 horses and not once has she chased after them. She mainly sits in the car when we are at the horse paddock. We do have a couple of birds. Penny was not sure of them the first couple of days as our Rainbow Lorikeet is free to fly outside its cage outside. I saw them the other day eating out of the same bowl together however Tony (the bird) puts Penny in her place. 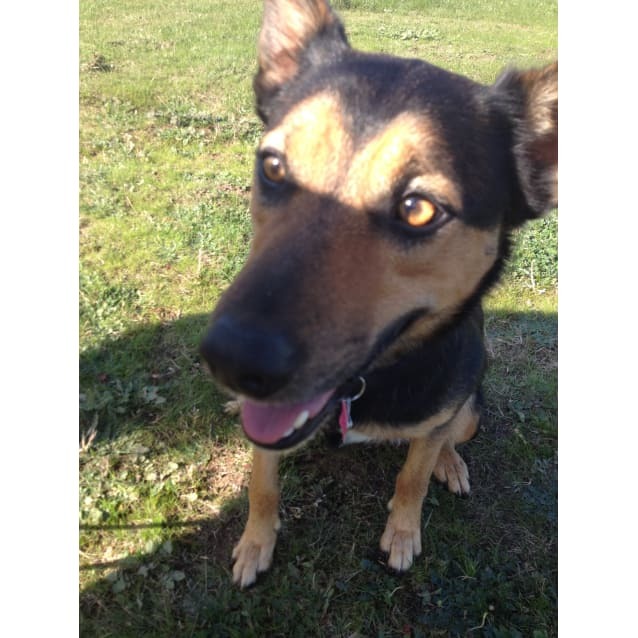 Penny is not an overly active dog but would still need to go for walks. She would love to sit in the back of a ute all day and go to work with a tradie. Penny would be a lovely addition to your home and we would love for her to find a beautiful family to grow with as she is super kind, friendly and sociable. If she could sit in your lap all day she would. Please contact me if you would like to meet with Penny. \ Penny will come with a two week trial and if you are unable to afford her RADAR will do payment plans. *PLEASE NOTE: Penny is wearing collar that has the name Lilly on it. This is because Penny was not micro-chipped and my number is on the back of the tag so if she got lost I could be contacted. Firstly you will need to complete an application with your name and address and contact details for the microchip records. We will need a holding deposit of a minimum $50 that is non refundable to hold a pet for you whilst awaiting everything to finalize, however this amount is deducted from the adoption fee.